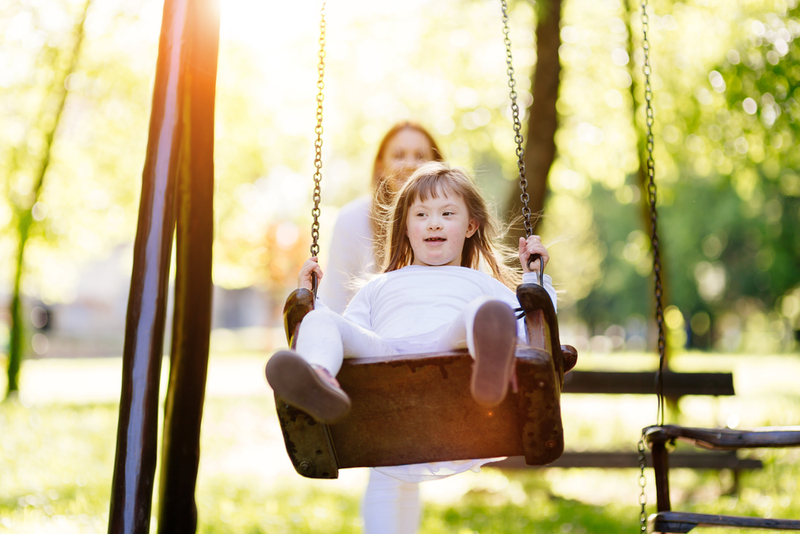 A child has Down syndrome or another intellectual disability. A child has severe autism. A child has unusual difficulty learning reading, writing, or math. A child (or, more often, a teenager) has clinical depression, schizophrenia, drug addiction, or another mental/behavioral illness. If your own child has (or is showing symptoms of) a mental or emotional disability, there are more helpful approaches. Don’t hesitate to talk to a doctor/counselor/psychiatrist if your child struggles with routine learning tasks, has intense mood swings, or seems to be reacting to things that aren’t there (or ignoring things that are). Even if these turn out to be “normal” personality differences, an experienced opinion will help you understand your child better, to mutual benefit. And if it really is a mental/emotional disability, the earlier it's diagnosed and treated, the better the prognosis. Just as with any other problem. While society has made progress in treating people with mental/emotional disabilities like normal humans rather than monsters or freaks, there’s still a lot of stigma attached—which can create additional problems with or without pressure from beyond the family. Don’t let fear of “what others would think”—or of what might be discovered—keep you from seeking help. Perhaps even more important, don’t let a formal diagnosis tempt you to see your child as doomed to a lifetime of seclusion. Most people with mental and emotional disabilities are capable of functioning “normally” in the everyday world. Letting them make decisions and express opinions at every opportunity. Asking them questions, including them in discussions, and listening to them. Not blaming every disagreement or bad mood on the disability, and not using it as an excuse to be either too strict or too lenient. Gently encouraging children to be all they can be. Believing in them and their potential. Whatever your child’s specific challenges, beware the “poor thing, he can’t help it” attitude. Especially if you have other, “normal” children. Often, siblings of a “disabled” child feel lost in the shuffle; and often, those feelings are justified. A family should be a cooperative team, not a hospital with one patient. As far as is possible, include every child in family activities and decisions, on an equal basis. Few people with disabilities (of any kind) are as helpless as we’re tempted to think. When every child is allowed every opportunity to make his or her own unique contributions, they and the rest of the family reap far greater benefits than a high I.Q. !